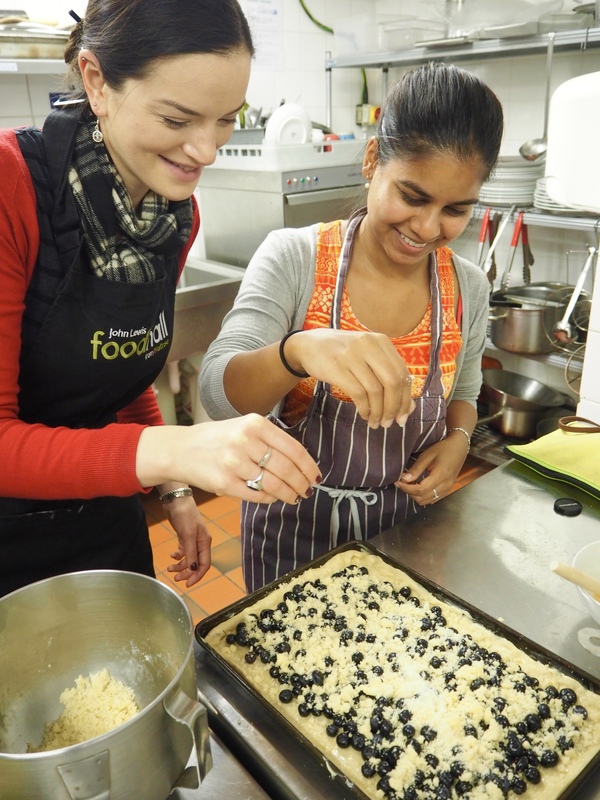 I’ve always considered myself more a cook than a baker, as I find it difficult to follow strict rules in the kitchen. Whenever I read a recipe, I think about what I could add and adjust, but with baking, I have discovered firsthand that small changes can often lead to disaster! So when Budvar invited me to a baking event with Czech pastries and beer alongside, I accepted, in the hope I’d get some guidance. I had never heard of koláče before, but as soon as we arrived, we were treated to a few bites, and they were absolutely delicious! 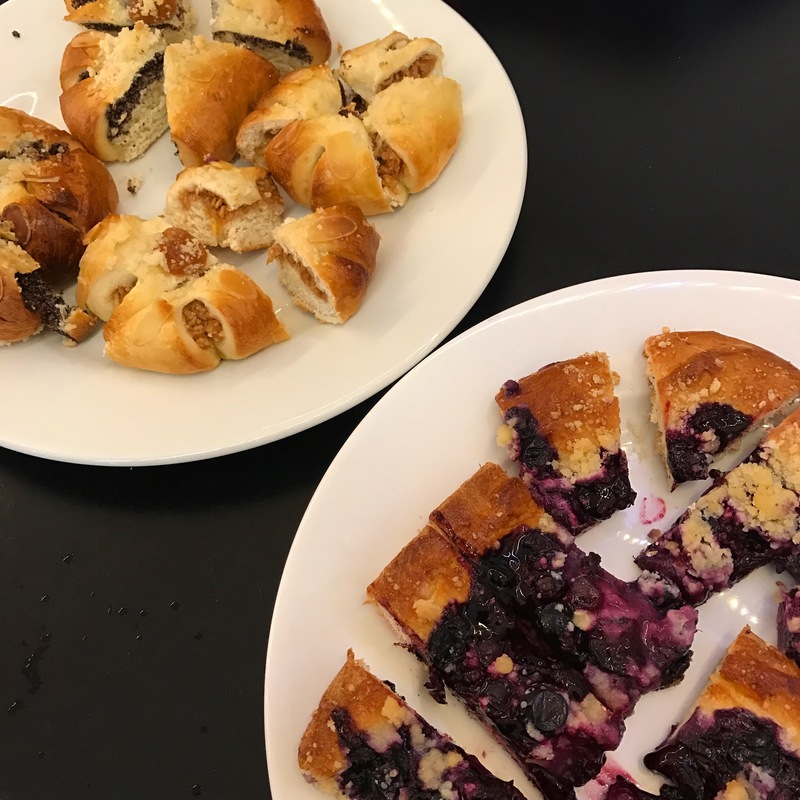 Soft and wholesome, tending more towards bread than layered pastry, my favourite ones were those filled with poppy seeds, as this made them a little savoury, but they were all wonderful, and freshly baked by the resident chef, flown in especially from the Czech Republic. These sweet treats went surprisingly well with the Budweiser Budvar, which is definitely NOT to be confused with the American Budweiser! It comes from an area of south Bohemia, and has been brewed for 1000 (!) years by an independent brewery. 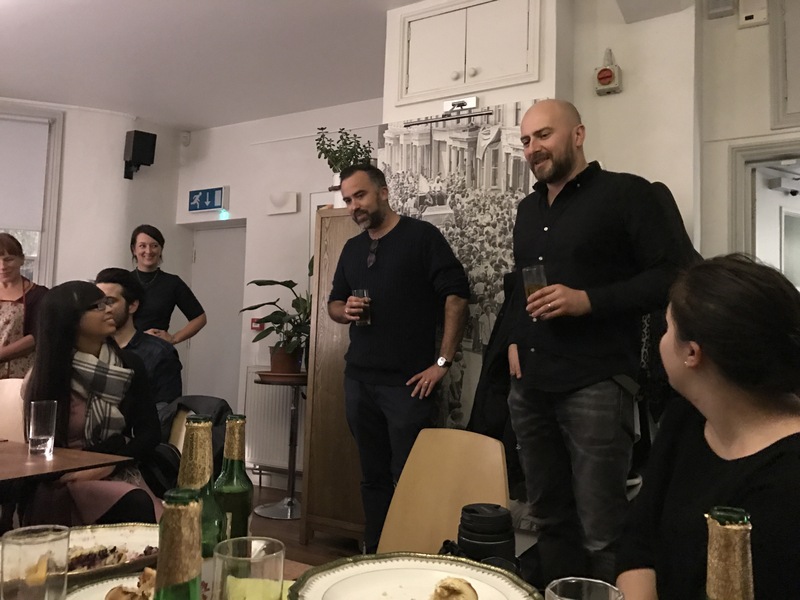 Our hosts told us about the beer in extensive detail, and their passion was evident, as they boasted about how the brewery does things the right way, rather than the cost effective way. They use real hops, rather than hop oil or pellets – which makes the process more difficult, and more expensive. And whilst I’m not exactly a beer connoisseur, this stuff tasted… well, real. 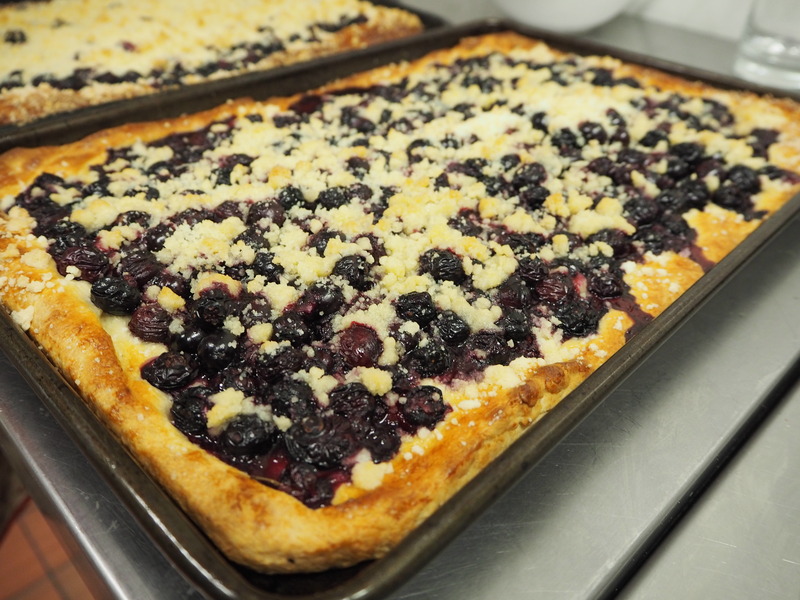 After that introduction, we all got into the reason for the evening – the baking. 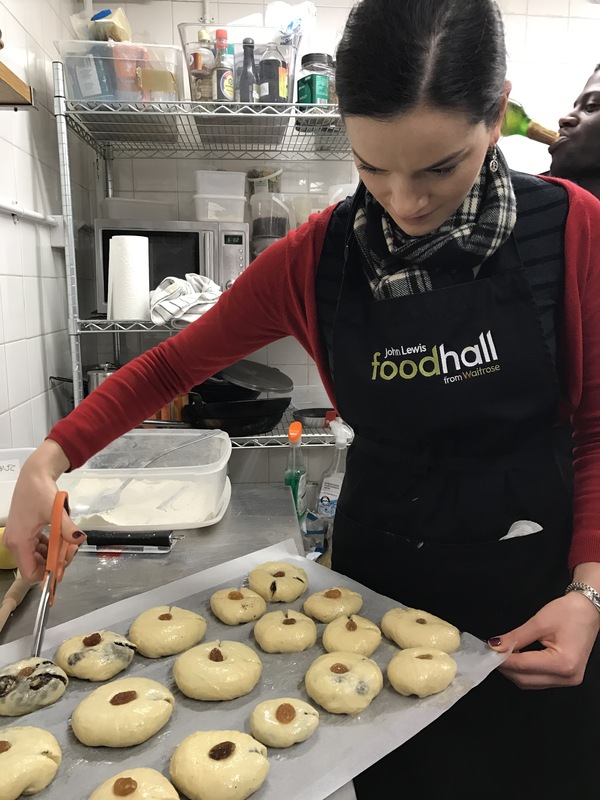 The dough for koláče takes quite some time to rise, so whilst we learned how to prepare it, we then used pre-proofed dough from earlier in the day to make the actual pastries, which had grown to an absolutely gigantic size. The various fillings we stuffed them with were the aforementioned poppy seed, spiced apple, and blueberry. The crumble that was sprinkled on top was nothing but sugar and butter, and my friend and I had to stop ourselves from eating it all with our bare hands! 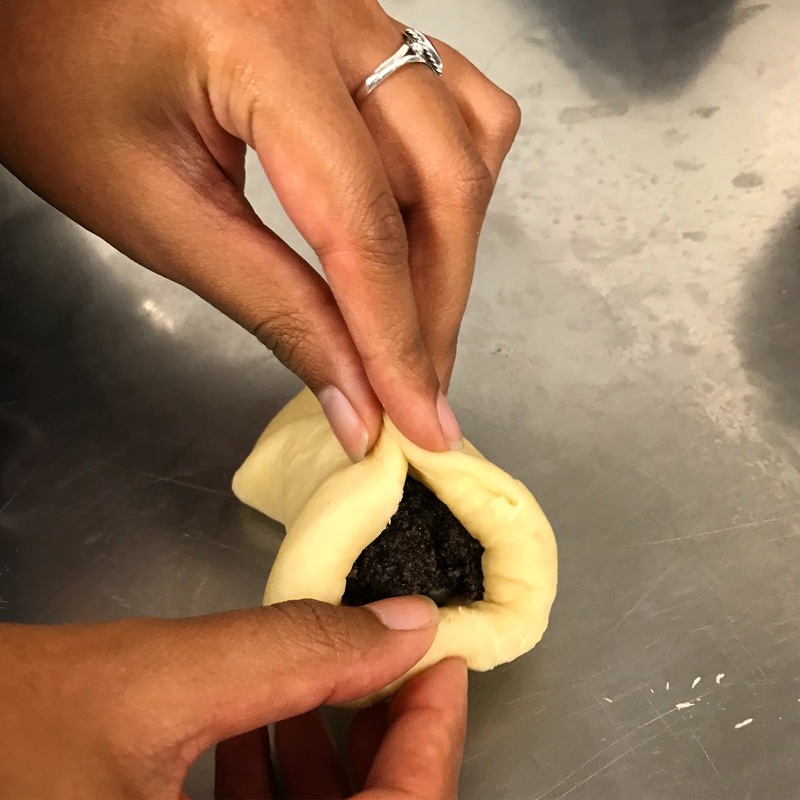 Throughout the process, I was amazed at how, much like Indian cooking, the measurements for koláče were imprecise and relied more on touch and feel than science. Turns out not all baking is as restrictive as I previously thought! ‘Is it done?’ we asked, as the kneading continued. ‘Hmm… feel it, and see,’ our chef responded. I thought it was ready, but clearly, my koláče skills still need sharpening, and so I waited until the dough had been kneaded for another few minutes. 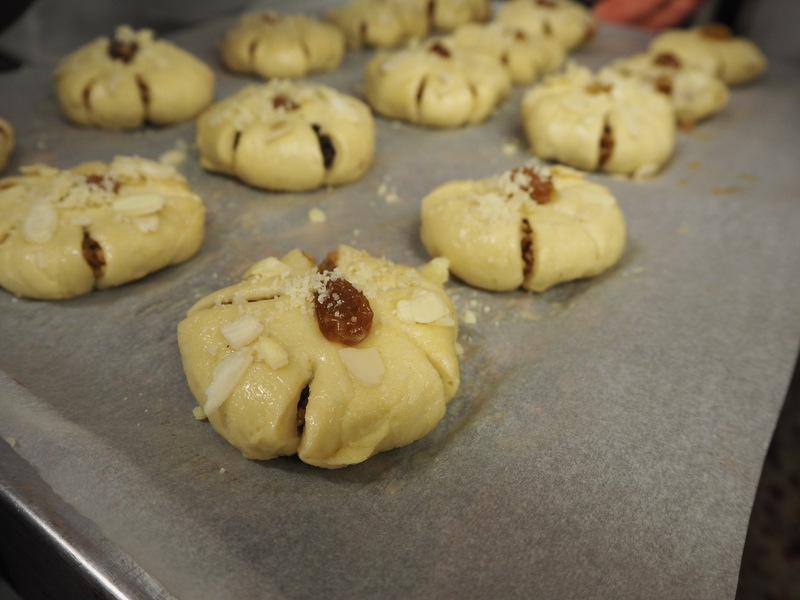 We then worked on shaping the koláče into… what can you even call them… roundels with snips? A really fun process where everybody just got stuck in. 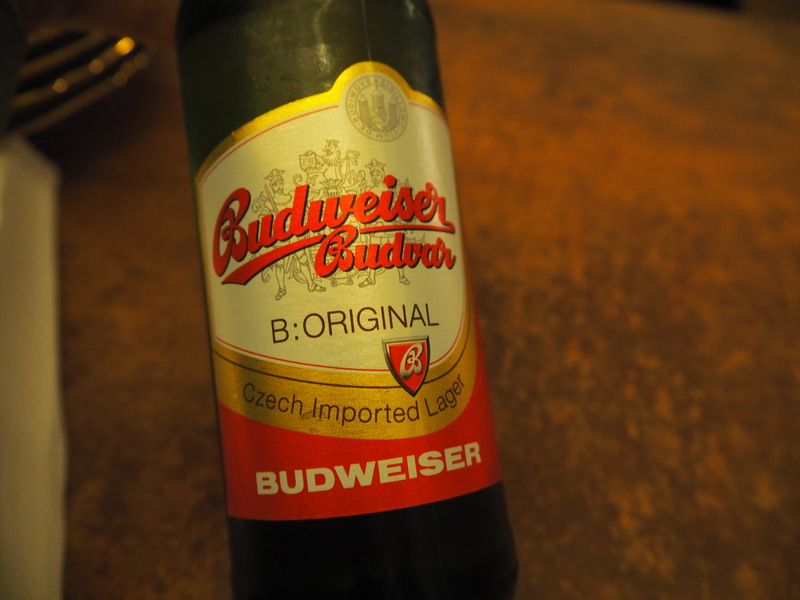 All in all, it was a wonderful evening, and I loved how our Budvar hosts were so passionate about the authenticity of both the beer and the pastries. There was ample to take home, and I don’t think my colleagues have ever appreciated me more than when I walked in the next morning with two boxes of koláče and a big smile! Find out more about koláče and a recipe to make it here. I was a guest at this event, but as always, all opinions are my own.